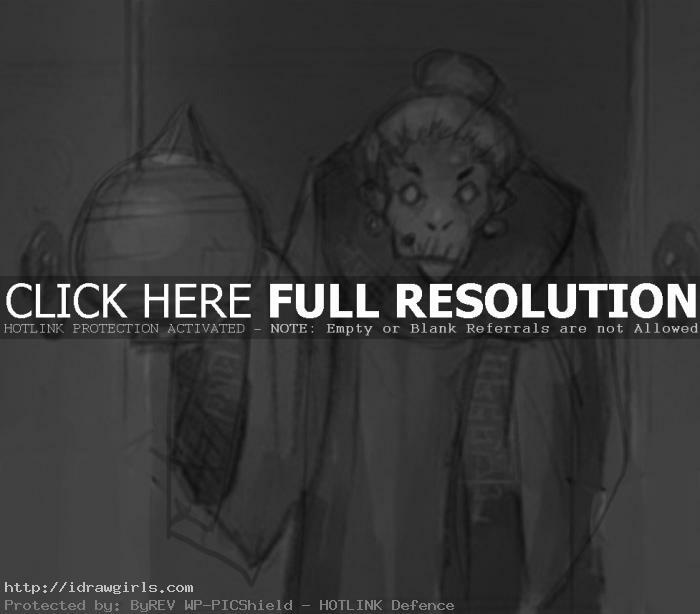 How to draw old woman Manga cartoon style. 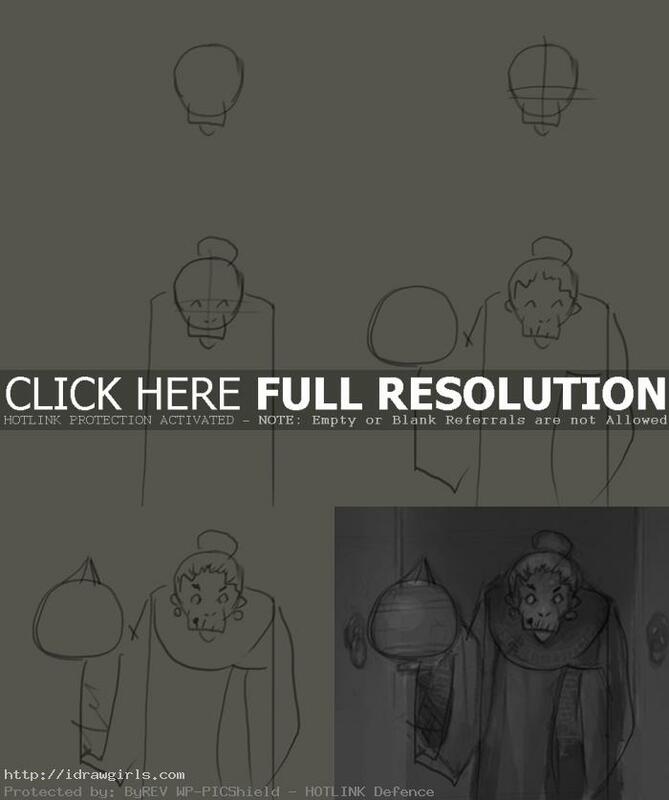 Learn to draw old woman with lantern from step by step images with easy to follow instruction. This old lady is one of the character for my comics book “Kapow Express”. She is one of my favorite design because of its humor and simplicity. She just look really funny. I usually start of using sphere or circle as a base for character’s skull, then next step would be figuring out the next geometry form to fit into the image. Or any big geometry shape you see first when you observe the subject then go from there. Here is a drawing of an old woman. Below are step by step images how to draw, easy to follow with instruction. Step one, I started off with circle along with additional shapes to set up her head’s shape. Step two, I then drew measurement lines for eyes, nose and mouth. Step three, I drew her eyes, nose and mouth along the lines that I measured earlier. Then I added two lines to make up her body. Step four, I drew out her arm, well with big sleeves over them. Step five, I draw a little more detail over her face and refine her body and clothing. Step six, I cleaned up and finalized the drawing.